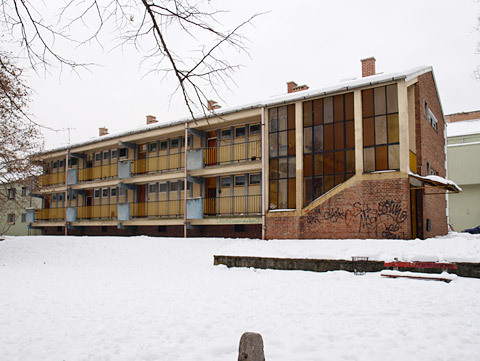 In the district of Òbuda in Budapest various examples of socialist residential buildings stand alongside one another. On the one hand you find buildings in the style of Socialist Realism, on the other there are huge pre-fabricated buildings dating from the 1970s. Between, hidden behind trees, is a small group of houses which were erected around 1960 as a model housing development. The model project came about as a result of a speech by Nikita Khrushchev. In 1954, the Russian head of government assembled the leading architects and building functionaries in the Soviet Union for an "All-Union Conference of the Construction Industry". 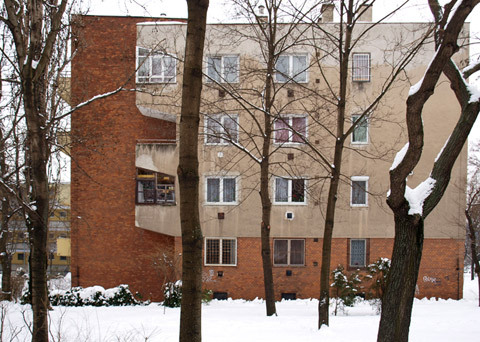 He used the occasion to publicly declare the de-Stalinization of building culture and the elimination of "conservatism in architecture" - a message which set a trend throughout the entire Eastern Bloc. Khrushchev opposed Socialist Realism and propagated the industrial production of architecture, still, it goes without saying, in the socialist sense. In so doing, Khrushchev was responding to the grave deficits afflicting large parts of the population in the entire post-War Eastern Bloc. As in other market segments, there was a high demand for residential construction which at the time manual building methods were unable to satisfy. 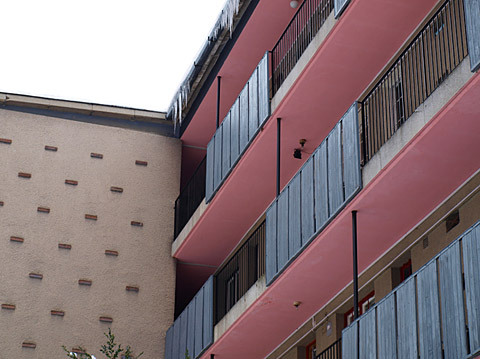 In order to reduce the cost of housing construction and increase productivity, efforts had been channeled for far too long into reducing the size of and fittings in apartments rather than improving the technical possibilities. The result was small, one-room apartments for families with several children. Furthermore, the only furniture available on the market was relatively large and barely fitted in the small dwellings. 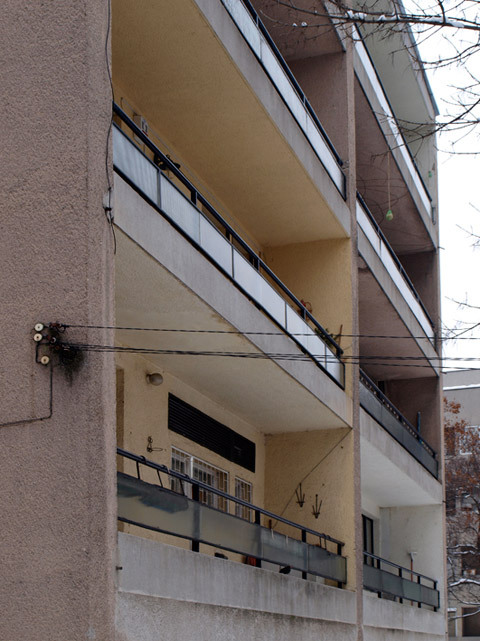 Given this unsatisfactory situation, in 1957 the Hungarian Ministry of Residential Construction initiated "Plan C", which had various aims: To make up the ten-year deficit in residential construction within two years, for which productivity in the building industry needed to be increased. 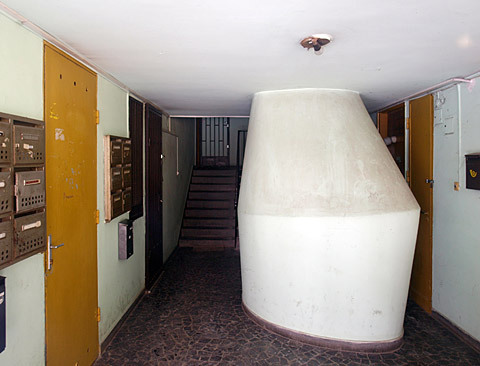 In addition more spacious, higher quality apartments were to be built, and, not least of all, furniture was to be made available that reflected the needs of the residents, was broader in range, and of better quality. 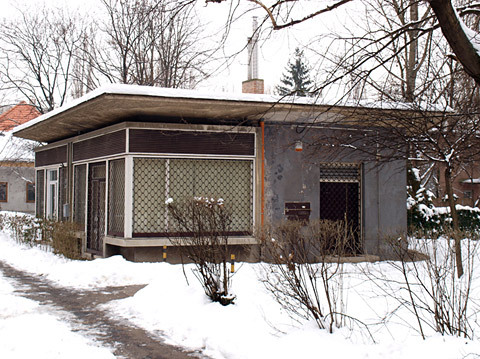 In 1958 the Ministry of Residential Construction organized an architectural competition for experimental housing - innovative footprints being the order of the day. Cutting-edge materials and building technology, such as concrete produced on the building site itself, pre-fabricated wall segments, and a light construction style that saved raw materials were to be used for those designs that would emerge as winners. The prototypes, which would be tested in model settlements, would then be built throughout the country. Some 180 projects were submitted. 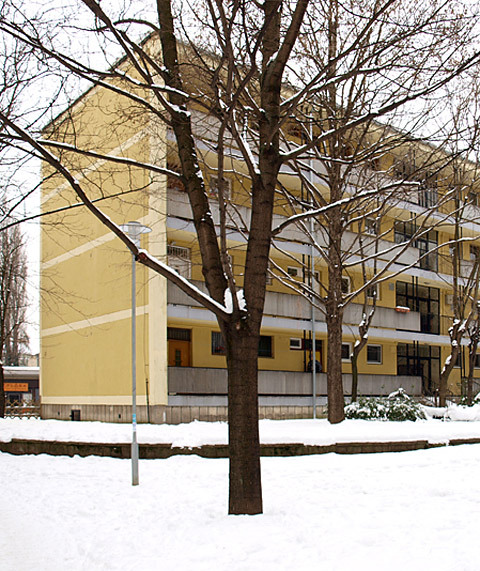 Various architects subsequently built residential buildings, small shops, a school and a kindergarten. 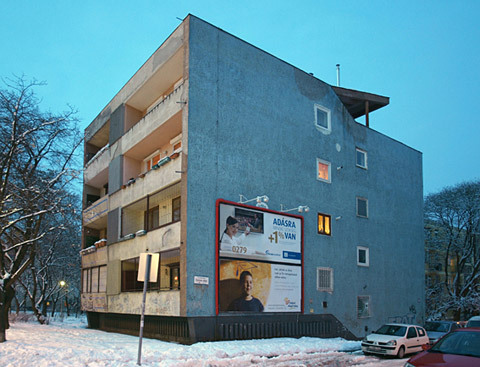 The average size of apartments in the Òbuda model residential settlement was 48 square meters. 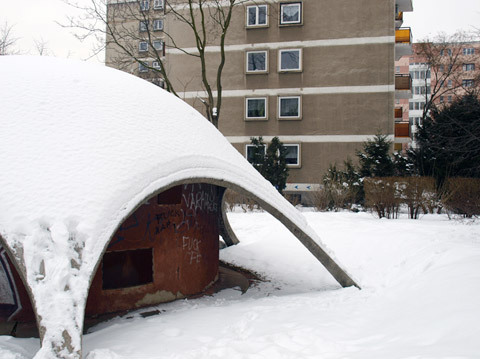 The smallest, originally intended for couples with one child, measured between 36 and 41 square meters. The largest - for up to six people - were between 68 and 76 square meters in size. What is also striking is that the color design of the buildings highlights their constructive principles. 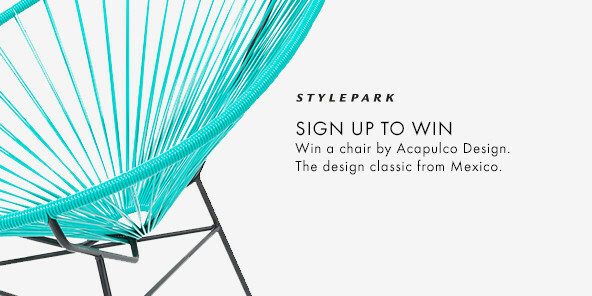 There was also a furniture design competition. Here too, in addition to a new, contemporary formal language, the brief was for solutions for cheap, rational production methods. The results of both competitions were initially published in competition catalogues and then in the press - with the intention of winning people over to the new architecture. Unfortunately things never got past the experiment stage. 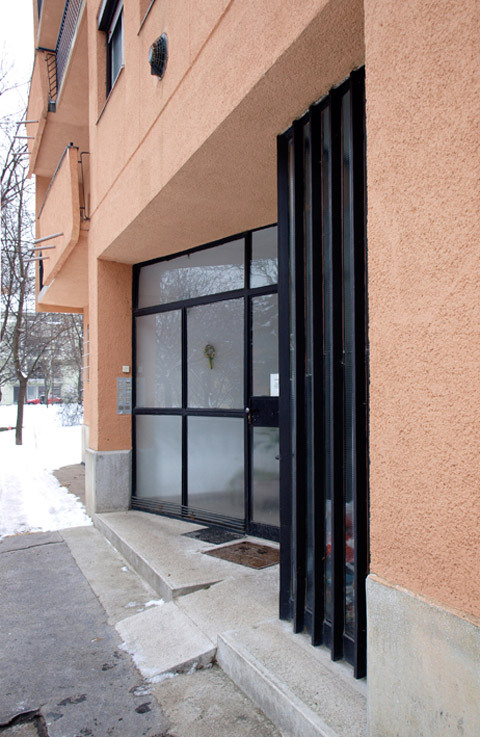 Only isolated ideas from the Òbuda development were used for other building projects. That was not the case with the new furniture. Not only did it appear quickly in many Hungarian households, it also formed the basis for the creation of a modern furniture industry in Hungary.